On a lightly floured surface roll out the dough to a 0.5cm thickness. 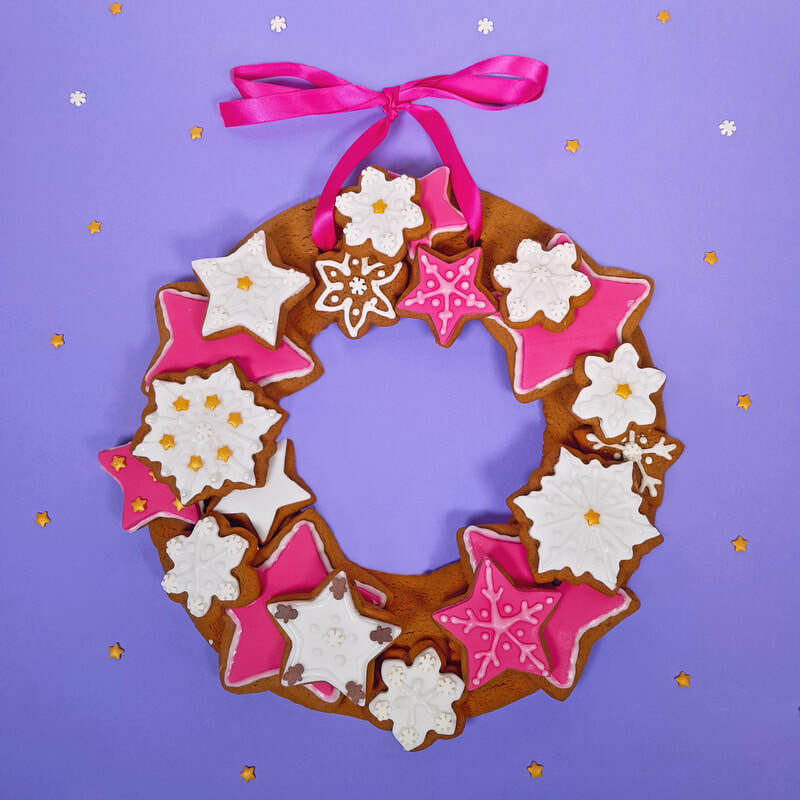 Use different size star shaped cookie cutters or a small knife to cut into different sized star shapes – we have made 20. Bake for 12-15 minutes, or until lightly golden-brown. Leave on the tray for 10 minutes and then move to a wire rack to finish cooling. Cut out stars and make an 8" round circle and cut out a 6" centre round to leave a ring. Make two holes in the top 3" part to tie ribbon. Ice the star biscuits and decorate before assembling wreath. Use royal icing to stick the pieces in place. © CAKE ANGELS 2018. ALL RIGHTS RESERVED.